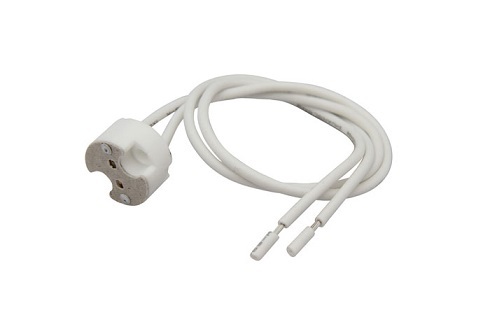 Suitable for halogen ceiling light, halogen lamp, LED bulbs, low voltage lamp and more. 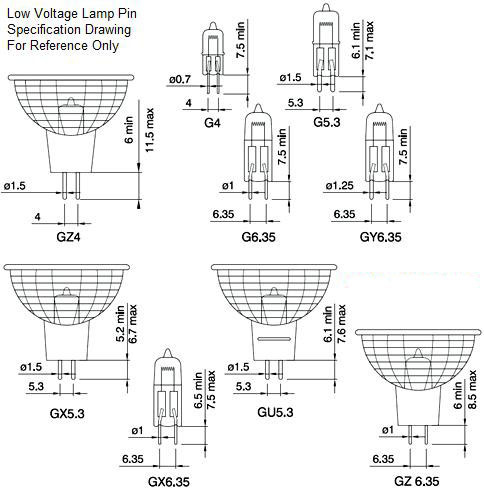 Bulb base led halogen lamp holders includes GU5.3, G4, G6.35, G9, GU10 lamp socket, especially a body set the lamp holder with light separable structure, one end of the retainer with standard conductive copper head, inside the Order of the Electronic luminous parts substrate. 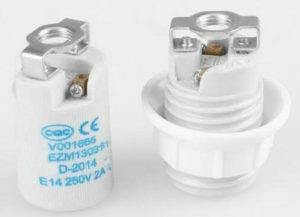 The substrate below the pick Let the cover, and in under the cover combines a low-voltage halogen bulb holder, and the grounds of a halogen bulb light by combining a spherical glass ceramic sheath for halogen bulb socket pins can be inserted combine or separate removable, reaching quick and easy replacement light source security. Halogen lamps normally operate at temperatures ranging between 250°C and 350°C. Consequently, depending on lamp burning position, Halogen Bulb base are sometimes subjected to temperatures of 200°C. Special holders are necessary to endure these elevated temperatures. Bulb base of ceramic construction are recommended for use with halogen lamps rated at 50 watts and above. Heat resistant phenolic plastic Bulb bases are acceptable for use with halogen lamps rated at 35 watts and below. Since lead wires are also subjected to extreme heat, silicone or teflon insulation is recommended for a minimum length of 125 millimeters from the lampholder. This length of wire is normally supplied with the lampholder. 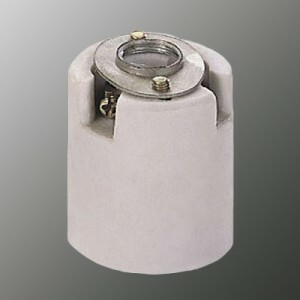 Also listed in the Lamp holder section are the popular ILT Reflector Holders (Part Numbers H707 and H708). These Reflector Holders can be combined with any compatible lampholder to give a reflector lamp more stability. They are made from plated alloy steel. They can not be accessed by using lamp Base Type because they do not have a base. Halogen bulbs also known as tungsten halogen lamps, incandescent kind. Principle is injected into the lamp halogen such as iodine or bromine gas, at high temperature, sublimation chemical action with a halogen tungsten, tungsten sublimation re-solidified in the tungsten to form a balanced circulation, to avoid premature filament breakage. Therefore live longer than incandescent halogen bulbs. After evaporation of the tungsten atoms are moved in the direction to the glass wall, as close to the glass wall, the tungsten vapor is cooled to about 800 ℃ and halogen atoms combine to form a tungsten halide (iodide, bromide, tungsten or tungsten). Tungsten halide continues to move to the central tube, and oxidized back to the filament, as a tungsten halide is a very unstable compound and then re-heated steam into the halogen and tungsten, and the filament so that the tungsten deposited on, make up for being part evaporated. The basic principle of halogen and incandescent glow the same, are thermal radiation source. Installed halogen bulbs, choose MR16 lamp holder, turn off the power, and the use of the plastic sleeve to protect the lamp glass shell clean, do not touch, such as accidentally touched, wipe clean with alcohol.